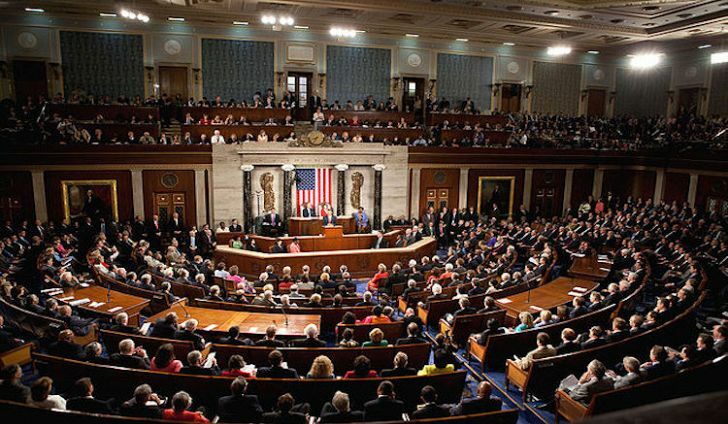 The US house of congress has passed a bill condemning the actions of the govt of LRC against southern Cameroonians and Patrice Nganang. In its 115th session, congress has passed resolution 718 condemning LRC from the crack down since the strike started to the cutting of internet, killings on October 1st and continuing killings and abductions. My people, this is the greatest diplomatic win this far. The US has become the first country in the world to officially condemn LRC. Being the most powerful nation, I think the rest of the world will follow suit. America just proved that they are the moral conscience of the world. At a time when everyone seems to be against us, God has given us a God father. This resolution gives the white house the green light to officially recognise the independence of Southern Cameroon. The resolution that was passed Jan 29 is a serious blow to LRC. Therefore as the war goes on we are certain to get help. This day was made by the lord, we rejoice and are glad.